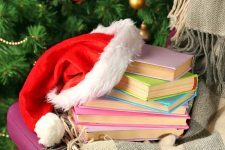 All of us have treasured holiday traditions. For my family at Christmastime, ours will always and forever be a punch bowl full of eggnog. 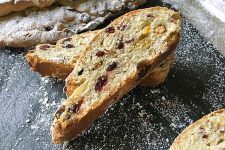 In fact, one of my earliest childhood memories involves the spiced, spiked mixture. 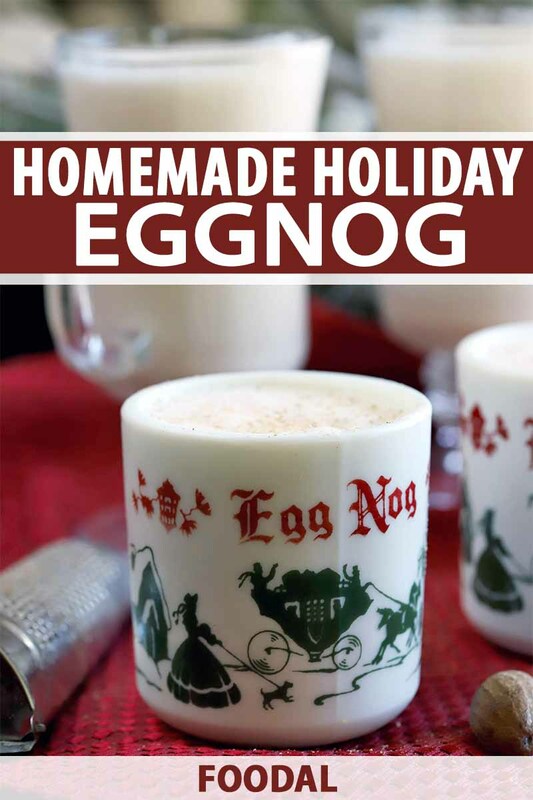 When I was about five years old, I LOVED eggnog. Not the homemade kind, but the one bought at the store without all the booze in it. Obviously. 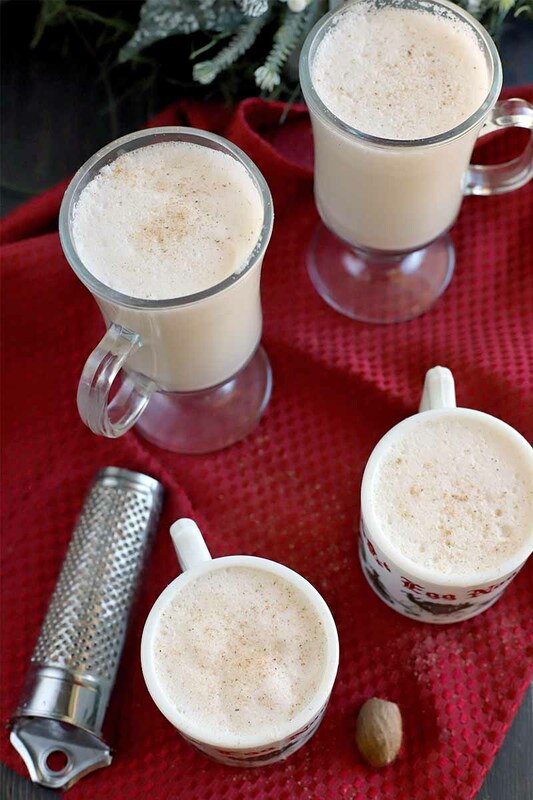 So, when my grandparents made eggnog, I recognized the scent of the creamy nutmeg mixture immediately. As soon as my mom set down her glass to go get something from the kitchen, I was reaching for it and slurping down a big old gulp. Of course, my grandparents loved their Christmas concoction nice and boozy, so cue me spitting it all out in a steady stream, crying like a complete and total maniac. 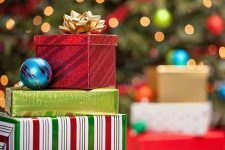 Now, if that isn’t a Christmas to remember, I don’t know what is! As an adult, I am glad to report that I’m not crying anymore. I can imbibe the delicious spiked mixture throughout the holiday season as often as I like, in pure happiness. 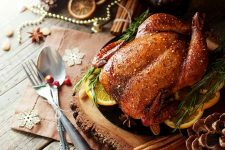 I like to carry on the tradition of making this particular holiday recipe for our family’s annual Christmas Eve dinner celebration, and it’s worth the effort to make it from scratch instead of just buying it at the store. 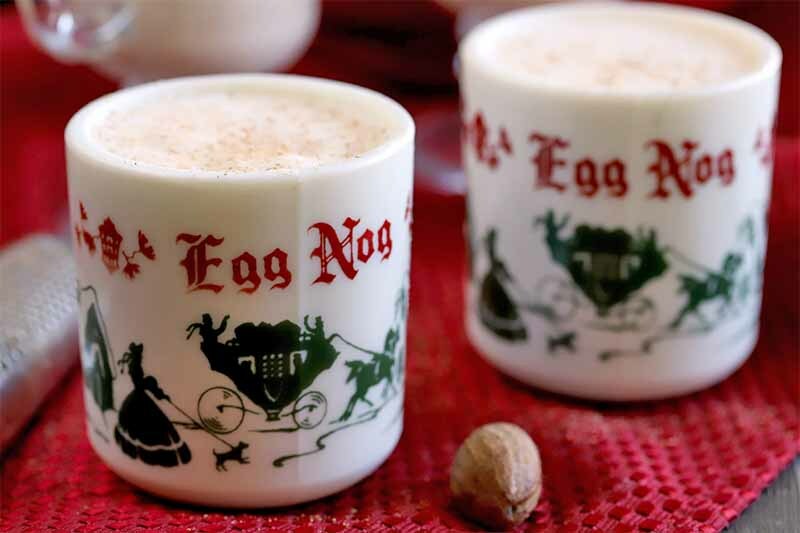 Did you know that eggnog wasn’t associated with any particular holiday until it reached America? 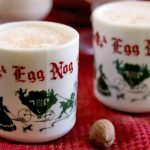 This is just one of many fun facts that you can learn about in our article on the history of eggnog at Christmas and New Year’s. 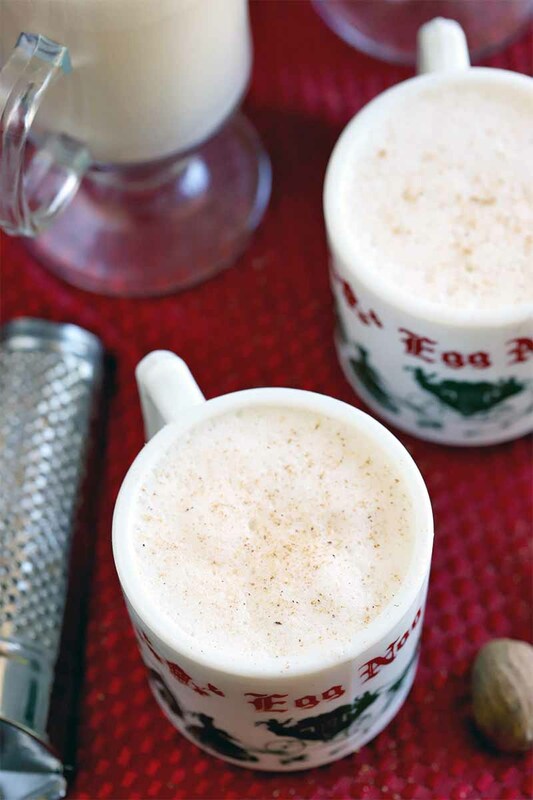 The funny thing is, making eggnog from scratch really isn’t as difficult as you might think. The drink itself isn’t traditionally cooked. I mean, when you look at the name, it screams at you that it contains eggs – and usually, those eggs are raw. I know this can give some people the creeps, but the truth is that the liquor actually kills pathogens, sterilizing your brew and preventing bugs like salmonella from causing any harm. Of course, this process takes some time. 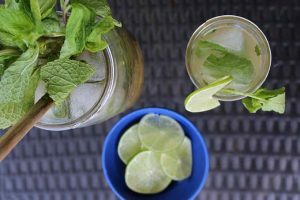 Aging your cocktail for three weeks in the refrigerator before consuming it is recommended if you’re hoping to reap these benefits. 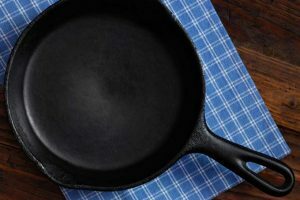 There are always risks when using raw eggs in recipes, and those with weakened immune systems or other medical conditions should refrain from consuming them. Make sure to use the freshest organic eggs you can find, but keep in mind that although smaller organic farms tend to produce eggs that carry less of a salmonella risk, it’s not eliminated altogether. Not to worry, though. 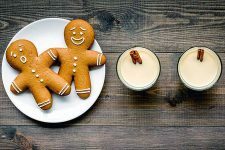 A cooked version of the instructions to make this delicious nog is also included below, for those who prefer to cook their holiday cocktail. 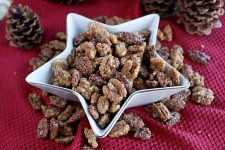 The result, no matter if you are making it the classic way or via the cooked method, is a creamy mouthful of nutmeg-spiced goodness. The kick of bourbon and cognac cuts through the thick liquid without being too aggressive or overpowering the other flavors. 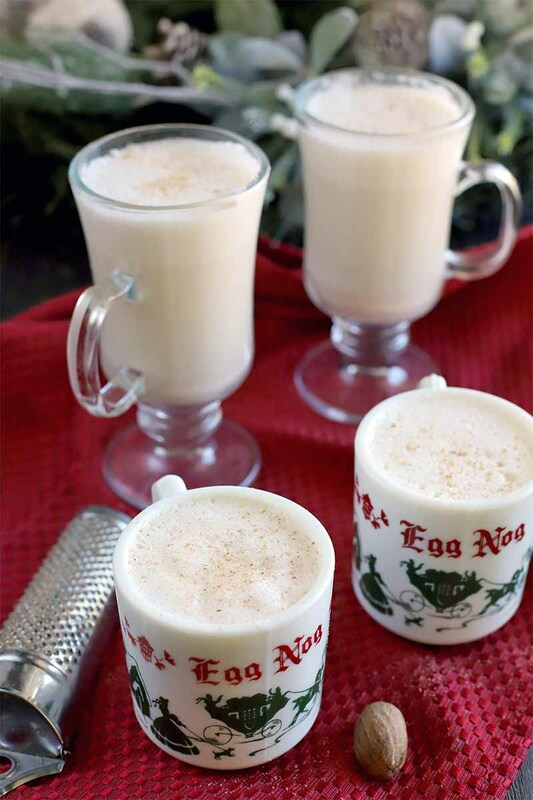 If there’s a cocktail that says “holiday cheer” loud and clear, it’s homemade eggnog. 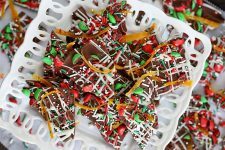 The creamy spiked mixture will make any grinch smile. 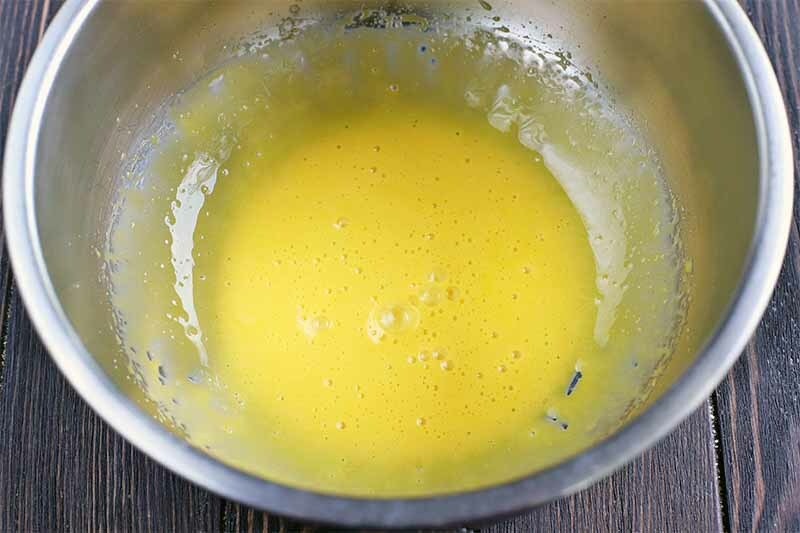 In a large bowl, beat the egg yolks with a handheld electric mixer on medium speed until they lighten in color. 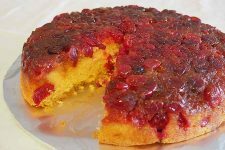 Gradually add 1/3 cup sugar and continue to beat on medium speed until it is completely dissolved. 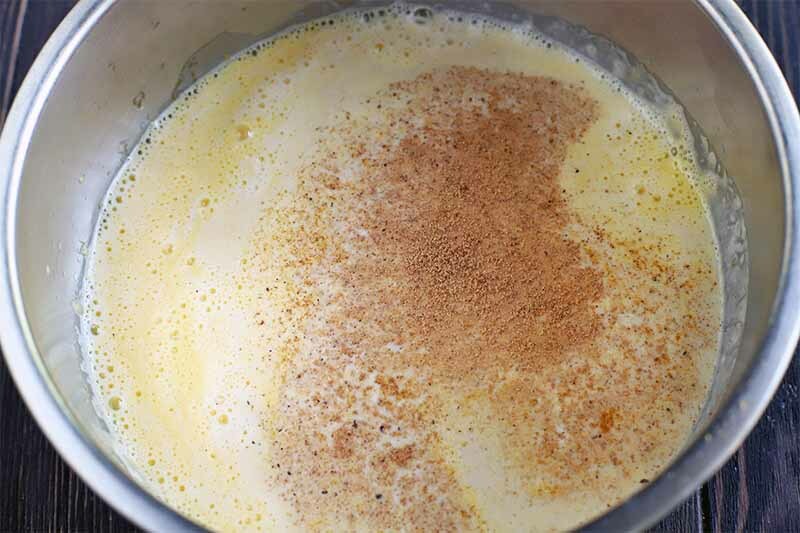 Add the milk, cream, bourbon, cognac, and nutmeg, stirring to combine. 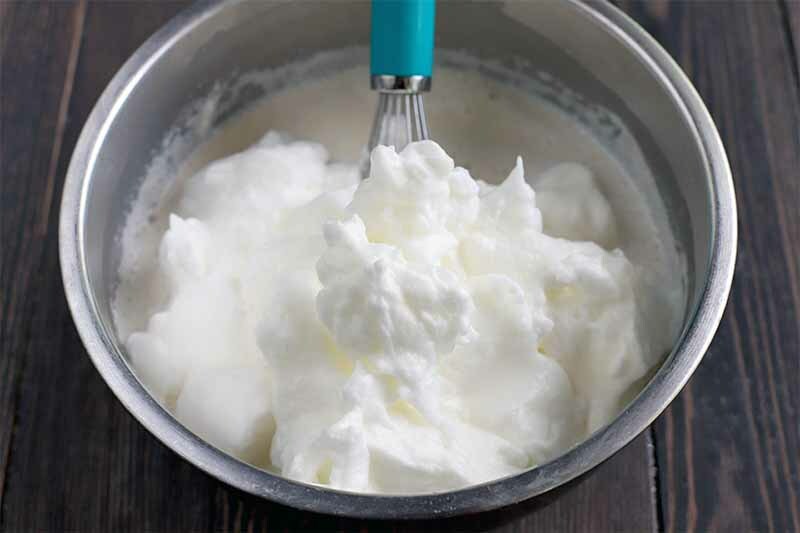 Place the egg whites in the bowl of a stand mixer and beat to form soft peaks on medium-high speed. With the mixer still running, gradually add the remaining tablespoon of sugar and beat until stiff peaks form. Whisk the egg whites into the egg yolk mixture. Chill for 2 hours and serve. Carefully separate 4 eggs, reserving the yolks in one bowl and the whites in a separate bowl. Set aside. Grate nutmeg until you have 1 teaspoon of the spice. Set aside. Measure out all remaining ingredients as listed. 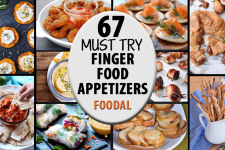 Be sure to set them out in the order listed, as this will make the recipe easier to prepare. Add the yolks to a large bowl. 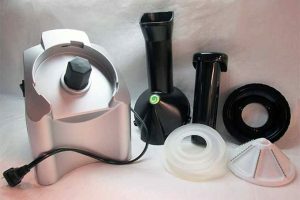 Using an electric hand mixer set to medium speed, beat until they lighten in color. Slowly add in 1/3 cup sugar and beat on medium speed until the sugar is dissolved. Scrape down the sides of the bowl as needed. Add in the milk, cream, bourbon, cognac, and nutmeg. 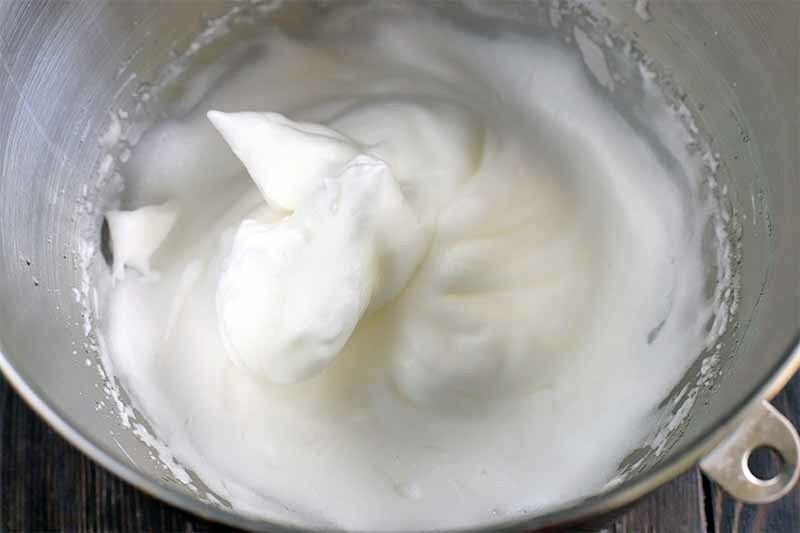 Add the egg whites to the bowl of a stand mixer. Beat on medium-high speed until they reach soft peaks. Leave the mixer running and slowly pour in the remaining tablespoon of sugar. 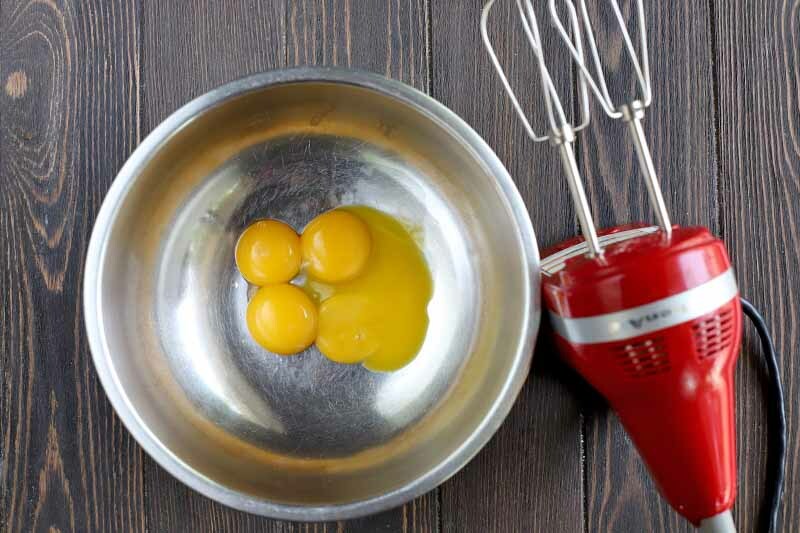 Gently whisk the egg whites into the egg yolk mixture. 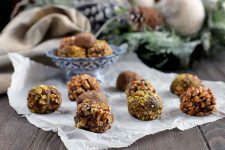 Chill for 2 hours before serving, sprinkled with freshly ground nutmeg. 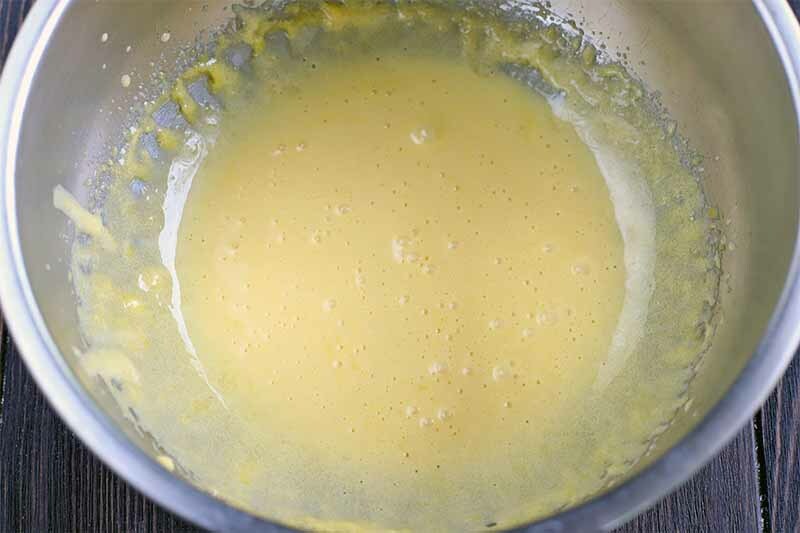 In the bowl of a stand mixer with a whisk attachment, beat the egg yolks on medium high speed until they are lightened in color. Slowly add in 1/3 cup sugar and beat until dissolved. Set aside. 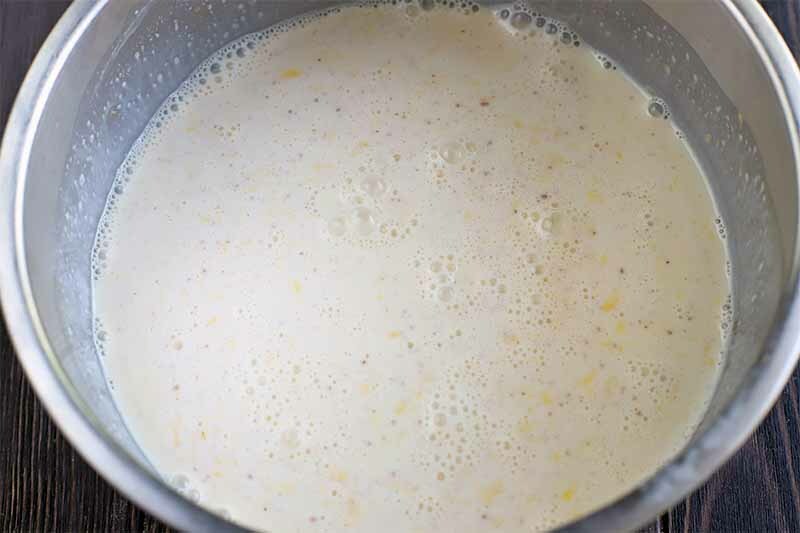 Combine milk, heavy cream, and nutmeg in a medium saucepan over medium high heat. Bring to a boil and immediately remove from heat. Slowly add 1/4 cup of the hot mixture to the eggs and sugar, whisking constantly. 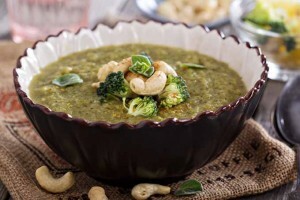 Continue to temper in the hot mixture, adding about 1/4 cup at a time, until fully incorporated. Return the mixture to the saucepan over medium-high heat. 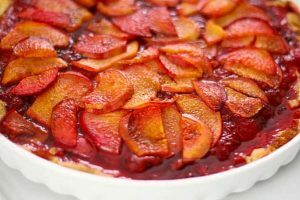 Cook until the mixture is thickened and registers 160°F on an instant read thermometer, Remove from heat, stir in bourbon, and transfer to a bowl or a large container with a lid. Cover and chill in the refrigerator for approximately 2 hours or until chilled through. 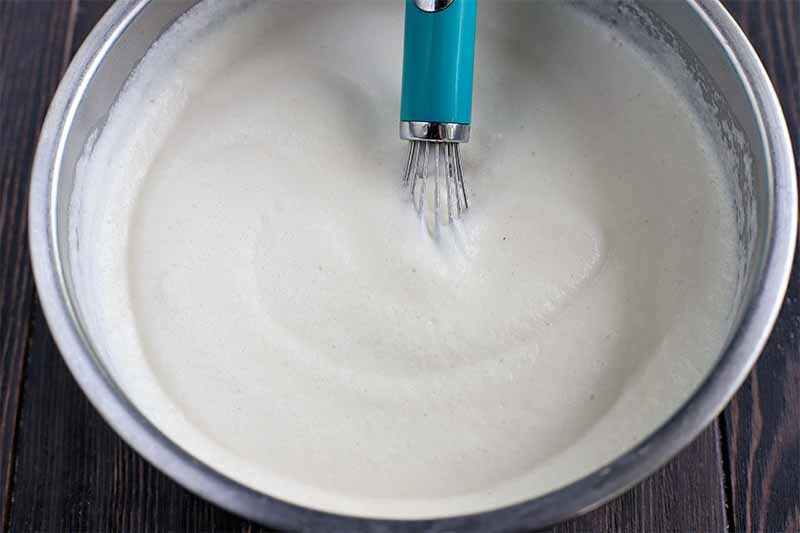 Clean the bowl of the stand mixer and add pasteurized packaged egg whites equivalent to the amount found in 4 large eggs. 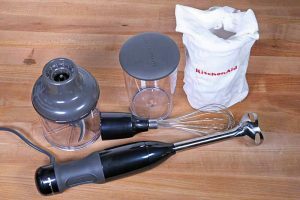 With the whisk attachment, beat to form soft peaks. Then add the remaining tablespoon of sugar while the mixer is running. Beat until stiff peaks form. Serve. 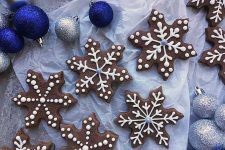 Should You Age This Classic Holiday Beverage? 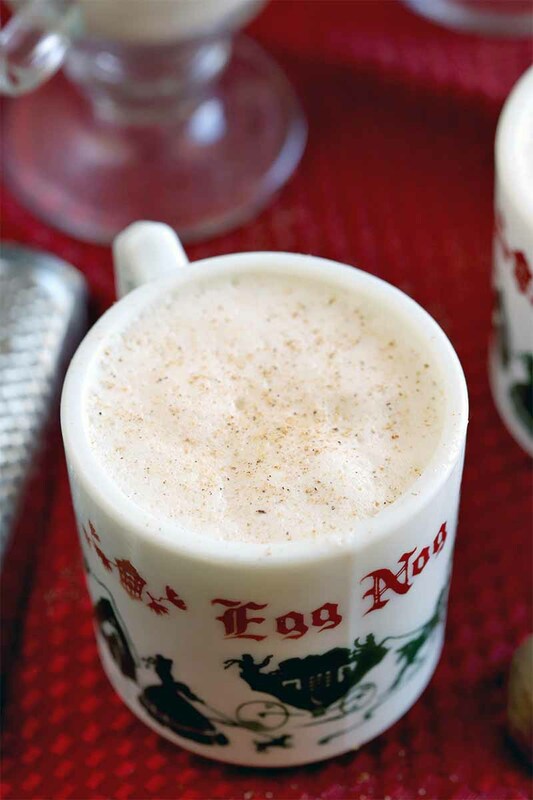 Even if you can only age the eggnog for a short period of time, the change in taste and texture is quite amazing. 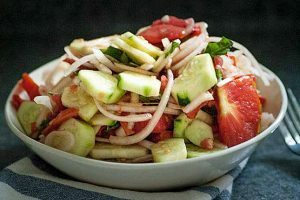 You can age it anywhere from a day or two in the refrigerator for up to several weeks, or even longer than a few days if you prefer. The flavors of the egg, dairy, and liquor all come together even stronger after they have some time to age, making the cocktail smoother and even creamier, if you can believe it. Chilling the eggs actually makes them start to thicken, so that’s where you get that signature thickness that you are used to. When you want to go all out, be sure to pair a mugful with a slice of our spiced eggnog cheesecake. 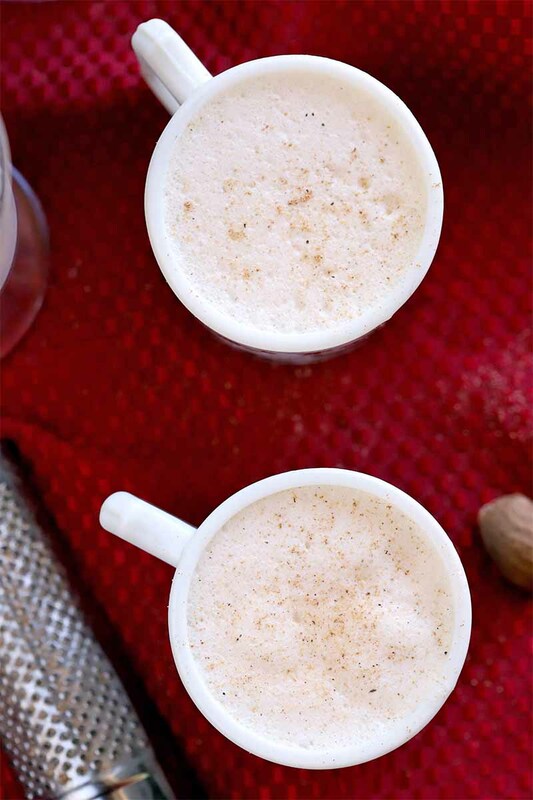 It’s pure eggnog bliss. 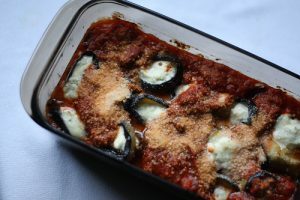 What occasion will you make this recipe for? Tell us in the comments below, and be sure to rate the recipe once you try it for yourself. Photos by Meghan Yager, © Ask the Experts, LLC. ALL RIGHTS RESERVED. See our TOS for more details. With additional writing and editing by Allison Sidhu.